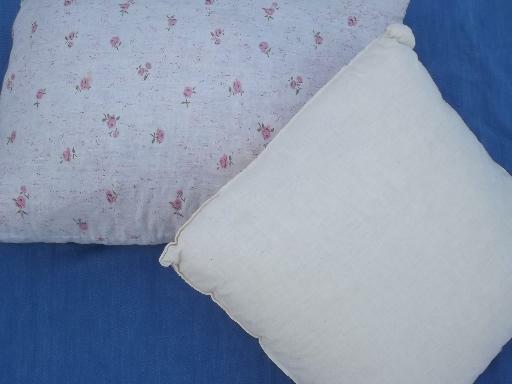 Two pillows or pillow forms filled with chopped foam - these look good, not dusty at tall, nice and full. 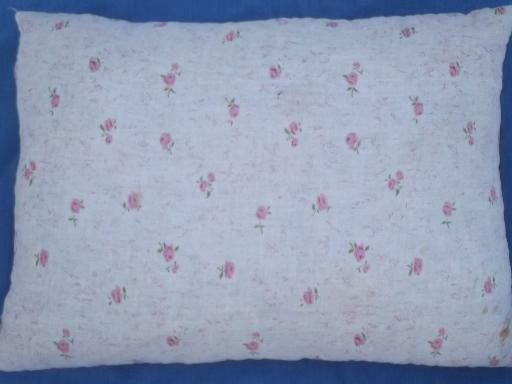 The pink rose print cotton pillow measures 21" x 14" (this one has a few spots to the cotton covering fabric). 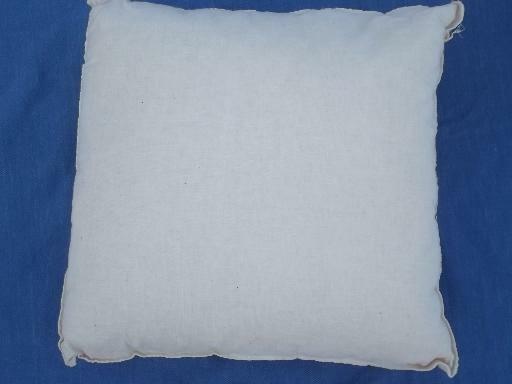 The unbleached cotton muslin pillow measures 15" square.